Christmas is a time when many celebrate the birth of the Prince of Peace prophesied by Isaiah. While many acknowledge that Jesus is that Prince, they ignore the part about Peace. “Yes, the Prince of Peace has come, but He can worry about the afterlife while we worry about how to run the world,” they say. “His peace is just for inside your heart,” they say. “His peace is for another place and another time,” they say. Is this true, or has peace really come at long last? Is the time for war truly over? The prophet Isaiah, a man who lived 700 years before Jesus, had a dream of the coming Messiah. He recorded his dream in the form of a poem. Swords and spears turned into implements of agriculture, tanks turned into tractors, guns and bombs turned into tools of life instead of death. This was Isaiah’s dream. He envisioned a world where war would be learned no more. He imagined that nations would not even lift up a gun against another nation. This was Isaiah’s dream. Many believe his dream is absurd or impossible or for some far off future time. But every Christmas we borrow from another of Isaiah’s prophesies as we celebrate the birth of the one who makes these dreams come true. The everlasting Father, Prince of Peace. Isaiah, in his prophetic poems, envisions the hope of a messiah like this: a Prince of Peace will establish a new kind of government, a government characterized by ever-increasing peace. Weapons of war; swords, guns, bombs, and bullets, will be transformed into instruments of agriculture. Finally, the world will abandon the power of violence and embrace the loving, peaceful power of the Messiah. This is the hope of Isaiah. 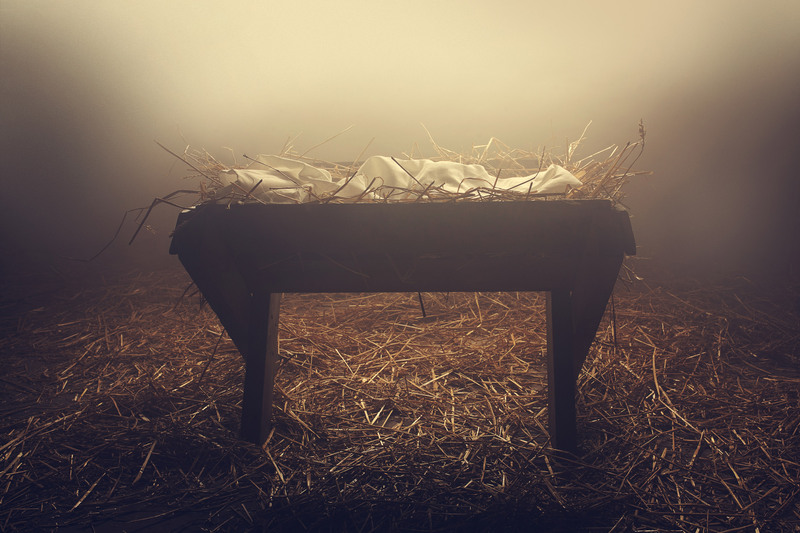 “For unto us a child is born, unto us a son is given: and the government shall be upon his shoulder: and his name shall be called Wonderful, Counselor, The mighty God, The everlasting Father, The Prince of Peace.” Christians take Isaiah’s hope and make a bold claim: Jesus is that Prince of Peace. Jesus is the one who makes Isaiah’s dreams come true. If Jesus really is the Prince of Peace then those who walk in darkness, those who carry weapons, will see a great light. If Jesus really is the Prince of Peace, then those who wear military uniforms will burn their clothes and learn war no more (Isaiah 9:5). Christianity claims that yes, Jesus is the Prince of Peace. Has the Prince of Peace really come? Most Christians would answer, yes. But in practice, they would answer that his peace is not for now, it is only for when Jesus comes back a second time. Yes, weapons must become instruments of agriculture. Yes, military uniforms must be burned and we must learn war no more. But not now, not today. For now, we still need to make more weapons, we need to make more military uniforms, because war is the only solution we can dream of to find peace. Isaiah says that in the last days, the nations will come to Mount Zion and learn the peaceful ways of God. That is the time when weapons of war will become tools of agriculture. So when are the last days? The apostle Peter claims that on the day of Pentecost the last days arrived (Acts 2:14-24). The writer of Hebrews said that in Christ we have come to Mount Zion (Hebrews 12:22-24). So according to Scripture, we are in the last days and have come to Mount Zion; the time for war to end is now. Peter claimed that the last days had arrived because he remembered what Jesus had been saying— that the waiting was over and all that the prophets had foretold was coming to pass in the present. The writer of Hebrews meant that what Isaiah and the other prophets had described as “the nations flowing to Mount Zion to learn the way of peace”, has been inaugurated with the resurrection of Christ. Christians for the first three centuries believed that time had come. They refused violence, refused weapons, refused military participation, and loved their enemies unto death. To them, Isaiah’s dream had been made real with the new Kingdom that Jesus inaugurated. They weren’t waiting for some future time to lay down their weapons. The time to abandon war, violence, and weapons has come upon us. If you are waiting for something to happen before you beat your sword into a plowshare and your spear into a pruning hook, you can stop waiting. If you are waiting for Jesus to return before you refuse to support war, you can stop waiting. If you are waiting for some grim prophesy to come true before you abandon your weapons, you can stop waiting. There is no way to peace, peace is the way. If you truly believe that Jesus is the Prince of Peace foretold by the prophets, you don’t have to wait to be a peacemaker. Jesus is here. Jesus is here, now. You don’t need to wait for anything else. Jesus abolished war. Unfortunately, most Christians in America don’t understand this. Israel did not understand this either. Jesus was born to save Israel, but Israel refused their Messiah. Israel refused Christ’s way of peace. Israel had salvation from violence and war within their reach but they couldn’t get on board with Isaiah’s dream. Like in America today, they believed too strongly that violence was the path to peace. Jesus Christ was the Messiah that Israel was waiting for since the beginning of mankind (Genesis 3:15). Many messiahs would come and go before and after the times of Jesus, but they all lacked the key to success for bringing peace. They all raised up their swords and perpetuated the lie of Satan that “good guys killing bad guys redeems the world.” They all bought into this lie, and they all failed. Israel believed that the Messiah had come but that weapons still were the answer to their problems. They believed the way to peace was by way of the sword (Matthew 26:50-52). They couldn’t have the Messiah without the way of the Messiah though, so they ultimately rejected Jesus and had him killed. Their trust in violence would be their undoing. The prophetic words of Jesus came true within the lifetime of his listeners (Luke 19:41-44, 21:5-36). In the great tribulation, Jerusalem was completely destroyed by the Romans. It was precisely because Israel failed to recognize Jesus as Isaiah’s Prince of Peace right there and then that they rushed headlong into the war that ended with their own destruction. Doom and gloom, end-time prophecy experts keep trying to force the same mistake on us in our day. They claim that the Bible says that war is in our future and the world must get worse before Jesus returns. This, however, is blasphemy because it implies that Jesus and his Kingdom has failed. They replace the hope of peace with an anticipation of war. They replace the way of Jesus with the way of Caesar. Christ made it clear on the cross that war will no longer be the way the world is transformed. Jesus didn’t transform the world with violence or war. Violence killed God. The cross exposes the use of violent force as a shameful practice to be renounced. Christ has abolished war. Jesus did not renounce the way of violence for the way of peace so that we could renounce the way of peace for the way of violence. The God of the universe won his Kingdom without war. Jesus proved there is another way. Jesus is the other way. The question “What are you willing to die for?” is not the same question as “What are you willing to kill for?” Jesus was willing to die for that which he was unwilling to kill for. Jesus won his Kingdom by dying, not killing. Ruling the world by killing was buried with Christ. When Christ was raised on the third day, he did not resurrect war. With his resurrection, the world is given a new trajectory toward peace. War, as a legitimate means of shaping the world, died with Christ. Jesus refuted the option of war when he told Peter to put away his sword (Matthew 26:50-52). If violence and killing, even for a “just war”, were an option for followers of Jesus, he would not have refused this option (John 18:36). Jesus held to the truth that nothing is worth killing for. Jesus died on behalf of his enemies who were killing him. Jesus and war died together. Jesus was buried with the old world built on violence, sin, and death. On the third day Jesus was raised from the dead and a new world was raised with him. Shame is brought upon the empires of the old world every time a Christian refuses violence in Jesus’ name. 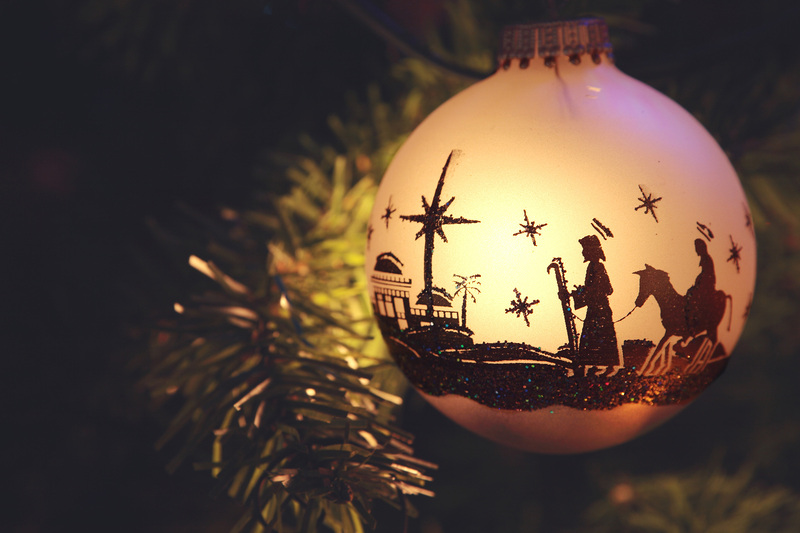 It’s time we started believing what we say every Christmas— the Prince of Peace has come. War is a thing of the past. War is anachronistic. War is regression. War is a repudiation of the lordship of Christ. Since there will be no violence when the Kingdom is fully come, there should be no violence practiced by Kingdom people now. Followers of Jesus must lead the way in imagining something better than war. Since war should not be practiced by Kingdom people now, Kingdom people must acknowledge that war is evil. War is powerless. War is forbidden. War is foolish. War is satanic. War is abolished. I don’t give you the kind of peace that the world gives. The Grave Sin of Memorial Day How it's celebration diminishes the Gospel.